I am going teach you How to hack a website through XSS (Persistent Cross Site Scripting). I wrote it because i didnt find a Nice Tut to explain XSS. I didnt added much pics as I dont want to hack an website for just a tut. But this is pretty much easy and you will learn without much difficulties. XSS is basically using java scripts in different forms to get internet details of a user’s profile of respective website. With the help of XSS we can steal the cookies of the owner of the website. XSS is a very large concept and your success rate depends on your imagination and experience. Like SQL Injection, keylogging are the certain things, where you follow certain steps to execute something. and the vulnerabilities of the website may be at the different places for executing your java scripts. XSS is Cookies. The cookies are used to maintain user authentication of respective website. * Search terms :- Almost all of the websites have search boxes where you can try to search something from the website. In the search box you can type your malicious script and check the vulnerability. put some query in it. So we are trying to find a place where we can write something, which will later be shown in the same webpage. There are 2 types of XSS vulnerability. 2. Non-persistent Cross site Scripting. 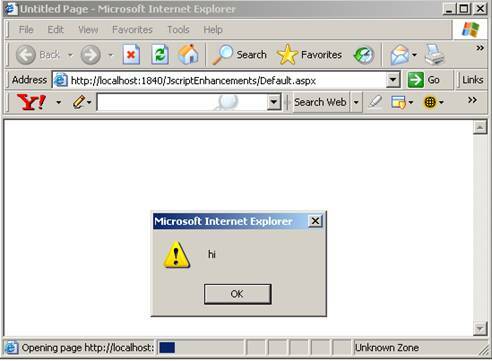 Lets go for Persistent Cross Site Scripting. Persistent Cross Site Scripting vulnerability would take place if the malicious code which you inject would be permanent on respective website. To understand it better. I will give u a little example. Suppose if you found a forum which is vulnerable to XSS. Then you can make a “New Topic” or “New Thread” in the forum. Every time some user or the admin opens up that particular thread, your code would be executed which wouldn’t have been filtered due to lacks in the security of the website and user’s or admin’s cookies would be sent to you on a “cookie catcher”, which would be a .php file stored on your own website. This website could be a free hosting website. Lets Suppose we have http://www.Cycl0ne.com. and later on that should be displayed. put “<u>Cycl0ne” and hit enter. You will see that it will say “Sorry, but no results were returned using the query information you provided. Please redefine your search terms and try again.”. But you should notice here that it doesn’t say “No search results found for “<u>Cycl0ne”. So it means that it is not Echoing the word that we put into the search bar. So there is no chance to exlpoit the search bar of Hackforums. Now, since we know that the website is vulnerable to XSS. We will try to run a small java script into the website. So what this will do is, it will popup a little alert box saying “Cycl0ne” on it. Once, you’re done just clikc on the „Ok“ or “Preview” button at the bottom. And in the next page you should get a popup that says “Cycl0ne”. As soon as you type that command and hit enter on the keyboard, it should make some popup which will show you your cookies of respective website. Make sure you are logged in to check your cookies. As i said before, cookies are the things which handles the sessions information and logs you in every time you visit the website. By doing this you can see your own cookies, but it would not help an attack UNLESS, we find some way to get those cookies sent to us. Now, lets try to find a way to get these cookies sent to us with the help of the java scripts. Cookie catcher is a file, which you will have to upload to some of your web hosting account, and change its permission to 777 so it can grab the cookies. Copy the following code and paste it to your notepad. Just a little elaboration about the script. The first statement will get the cookies. he last link would send the slave to “Yoursite.com”. so the slave wouldnt see anything unusual. so on. Copy the given code and put it into a notepad. Save it as something.php. Just make sure that you change the format to “.php”. You’ll need a free webhosting account where you can upload the file. I personally use “spam.com”, so create an account there and upload this php file. Make sure that you change its permissions to “777″. up an alert bar, lets go a little advanced. Lets try to send our own cookies to our cookie catcher. link of your cookies catcher and “?c=” we’ve added because its a get statement. so it can record it. notice another “cookies.html” file has been added, automatically. Now, if you open up the new automatically uploaded file, you will notice some cookies insde that file. i wasnt logged in, so if a user is logged in, then you should get a little different from this. Now, Get “cookie editor” addon of mozilla firefox. Till now, we were our own slave, we were trying to steal our own cookies to make sure this works. submit the post, so the moment someone opens it, you will get the cookies. the URL will change to something else for a moment. Thats what you will have to copy. What i copied was this. And then , you just give this link to your slave, as soon as they click ON it, you get the cookies. you will actually submit the report. So as soon as someone reads it you get the cookies.